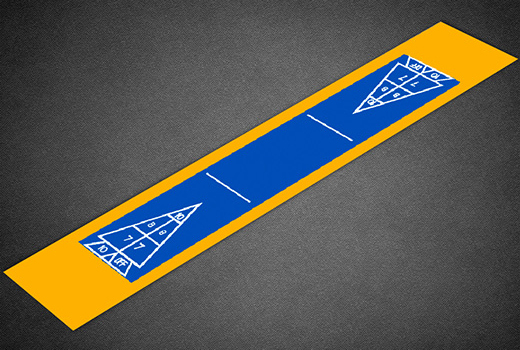 Duraplay's 10' x 52' shuffleboard courts replicate an "official" shuffleboard court. 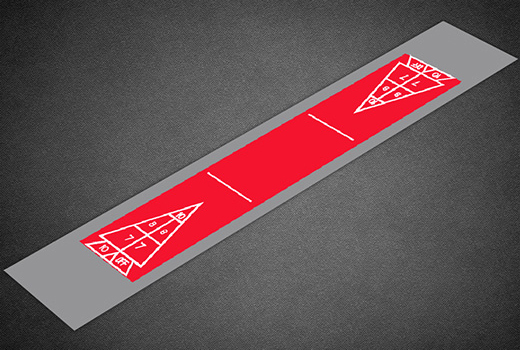 They feature the regulation 6' wide x 39' long scoring area along with the 6' of player standing area on each end and 2' on each side. 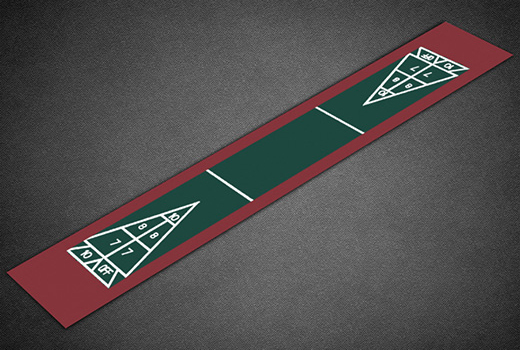 The 10’ x 52’ Shuffleboard Court kit is available in 3 color combinations as shown below. 9' 7" x 51' 10"
9' 10" x 52' 1"